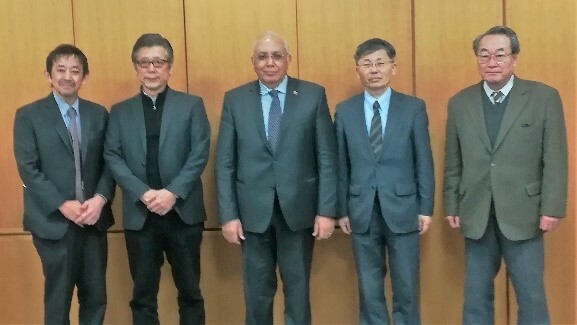 E-JUST President Prof. El-Gohary visited Japan in related to JICA’s Grant Aid Project for Procurement of Education and Research Equipment for E-JUST in the first half of March 2019. During his stay in Japan, Prof. El-Gohary, along with Mr. Iwai, Chief Advisor of JICA E-JUST Project, visited Fukuoka Prefecture, located in Kyushu, the most southwesterly of Japan’s four main islands. There he made a courtesy call on Prof. Kubo, President of Kyushu University. After that he had discussion with related faculty about possible new collaboration between E-JUST and Kyushu University’s Study in Japan Global Network Project-“J-NEMA Project”. He also visited Waseda University Kitakyushu Campus and exchanged opinions for future collaboration. After returning to Tokyo, Prof, El-Gohary visited Prof. Jojima, President of Jissen Women’s University, where mutual students’ short-term exchange program and signing of MoU were discussed. 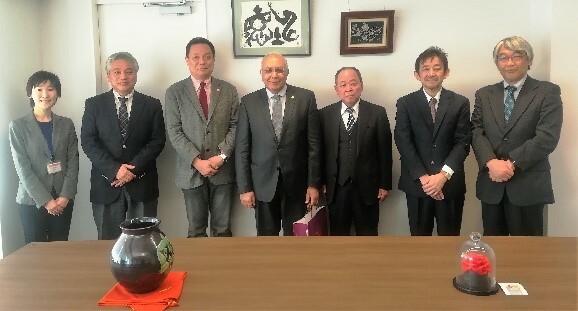 Then Prof. El-Gohary payed a courtesy call to Dr. Taniguchi, President of KOSEN, National Institute of Technology, Japan and deepened understanding of features and education system of KOSEN.